A pack of 12 real photo mockups psd and 6 high-res jpeg styled stock photos to show off your artwork. 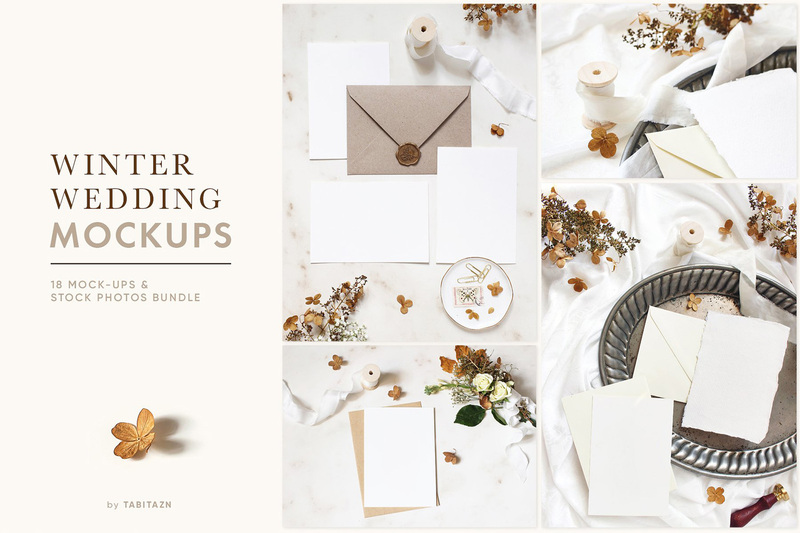 This winter or fall wedding stationery mockup set contains tender white rose, delicate dry hydrangea flowers and airy eucalyptus accompanied by elegant marble and soft silk. It comes in neutral color palette and containing both straight cut and cotton paper cards with deckled edges.